Lots of controversy and confusion surround cholesterol. In patients who have coronary artery disease, peripheral artery disease or carotid artery disease, there is no question about the benefit of cholesterol-lowering medications. However, for the rest of us who don’t have these diseases and don’t want to get them, how can we lower our cholesterol naturally? First, you have to modify your eating habits. Replace unhealthy fats (trans and saturated) with healthy fats (monounsaturated and polyunsaturated). This means becoming a food label reader.Trans fat should not be part of your diet. These kinds of fats lower good cholesterol (HDL) and raise your bad ones (LDL). They are found in margarine, shortenings, fried foods, and so on. Any product that contains partially hydrogenated oil has trans fat. In addition to avoiding trans fat, limit your saturated fat intake. There should be no more than 2 grams of fat per serving, and it should account for less than 7 percent of your daily calorie intake. Saturated fats are most often found in animal products (such as beef, pork, chicken skin, hot dogs and regular cheese) and tropical oil (think palm and coconut oil). You have to increase your consumption of dietary fiber. Ideally, you should be getting 25 to 35 grams of fiber a day. Fiber binds to cholesterol and eliminates it from your body. You can increase your fiber intake by getting more whole grains, legumes (such as beans and lentils), vegetables and fruits. There are two types of fiber. Soluble fibers are more beneficial for cholesterol, while insoluble fibers are better for your gut health. You should get a good mix of both. A word on flax, which is soluble fiber: The benefit of flax has been known since Hippocrates’ time. In the middle ages, King Charlemagne made flax a mandatory dietary requirement for all of his subjects. It can lower triglyceride levels. Flax also contains a plant omega-3 fatty acid called alpha-linolenic acid. Flax is a source of high-quality protein and potassium and contains lignans, which are phytoestrogen and antioxidants. 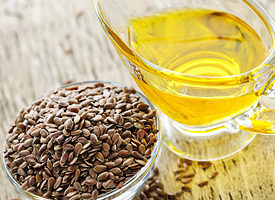 Eat your flax – don’t take it in pill or oil form, since such versions lack fiber, lignans and protein. When you eat flaxseed, make sure you grind the seeds to get the most benefit. Also, put flax in the refrigerator as soon as you grind it. The whole flax can be stored at room temperature for one year, but once it’s ground, it goes bad – so grind a little bit at a time. Aim for two to three tablespoons of ground flaxseed a day. Try putting it in your food, such as cereal, yogurt and salad. Say you’ve incorporated dietary changes, and your cholesterol is still not within recommended ranges. What else can you do naturally? You can incorporate phytosterol into your diet. These are plant sterol and stanol esters found in plants that are similar to the body’s cholesterol and can compete with cholesterol for absorption in the digestive system. Phytosterol can lower your cholesterol by 10 percent and your LDL (bad cholesterol) by 14 percent. Aim to get about 2 grams of phytosterol a day. Some common food and dietary supplements include high sterol or stanol esters — read the labels. A word on fish: Oily fish are best, which means salmon, tuna, sardine, mackerel and herring. Ideally, you should get two servings per week, and you can supplement with fish oil. Very high doses of pure fish oil can lower your triglyceride levels (another type of fat in your blood) and increase your good cholesterol, but it really doesn’t lower your LDL. Be sure to read your fish oil supplement label. Check out the EPA plus DHA in each serving of fish oil — those are the effective ingredients. If your fish oil says 1000 mg of fish oil but only contains 300 mg of EPA and DHA, know that you’re taking 700 mg of unnecessary fish blubber. 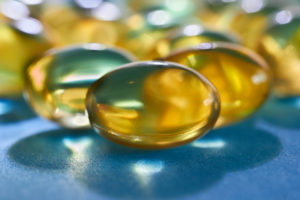 So choose fish oil with the highest amount of EPA plus DHA in each pill. Finally, let’s talk about “vitamins” to lower your cholesterol. The only one that really lowers cholesterol is red yeast rice at 1200 mg twice a day. The problem with red yeast rice is that it contains the same chemical compound as lovastatin, which means you would need to have your liver function monitored if you take it. There have been several Food and Drug Administration warning letters about red yeast rice due to its potential for liver toxicity. Talk to your doctor before considering it. Also: Garlic, grape seed and vitamins C, E and D do not lower cholesterol. Yes, you can lower your cholesterol naturally, and diet should be the cornerstone of therapy. Remember: Pills are a supplement, not a substitute, for a good diet. Leslie Cho, MD, contributed content for this article. She is the Director of Cleveland Clinic’s Women’s Cardiovascular Center and Section Head, Preventive Cardiology and Rehabilitation. Editors’ Note: This blog article is based on one of a series of articles produced by U.S. News in association with the clinical experts at Cleveland Clinic’s Sydell and Arnold Miller Family Heart & Vascular Institute (HVI). The original piece can be found here.